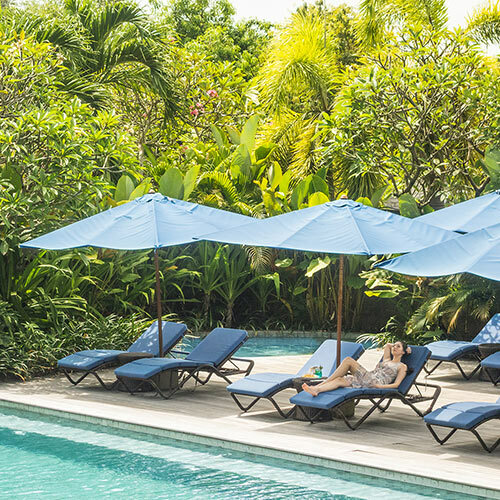 Watermark Hotel & Spa Bali is a 4 star premium hotel strategically located just few minutes-walk away from the sandy coastline of Kedonganan – Jimbaran beach, 10 minutes-drive away from Ngurah Rai International Airport and 15 minutes from Kuta Beach. The luxury hotel boasts 143 modern and stylish rooms comprising 72 superior rooms and 71 suites complemented with gourmet International & Japanese cuisine, pampering spa treatments, comprehensive MICE facilities. 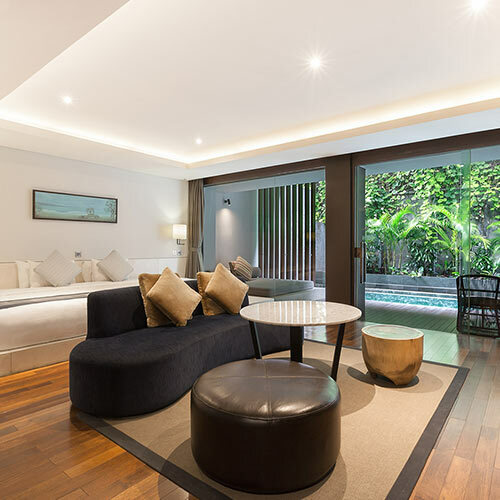 Watermark offers guests the opportunity to experience the best of Bali ! Come and discover its magic!